One of my favourite cuisine is Japanese, especially when it’s done right. By right, I mean a balance of taste, presentation and authenticity. A good Japanese meal is like an art waiting to be devoured. Yuzu in The Gardens serve a pretty good Japanese meal, but it is the good service that keeps me coming back. The ambiance is serene, staff are polite and food is good in my books. Customers are greeted warmly and politely ushered to their seats. And some of the long-time staff remember regular customers by name. 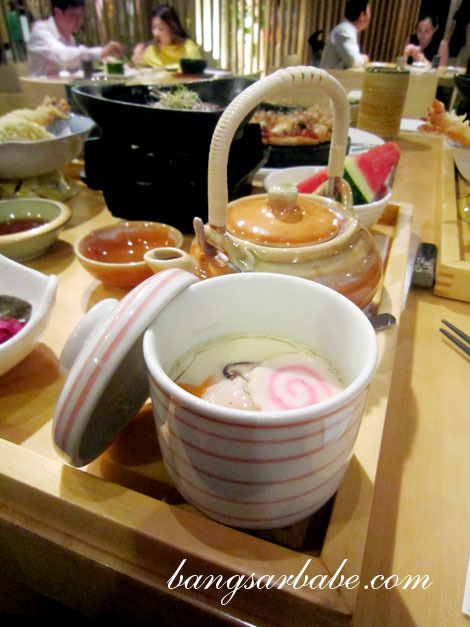 Our hot green tea was constantly refilled and they even took the time to explain the dishes to us upon serving. 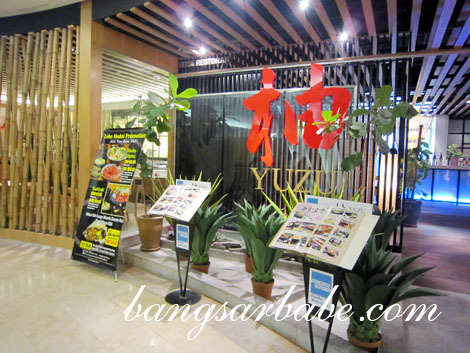 The staff have an innate ability to remain attentive yet unobtrusive – so most of my meals at Yuzu have been memorable. Presentation is taken seriously here. Everything I ordered looked so pretty, I almost didn’t want to destroy the food arrangement. 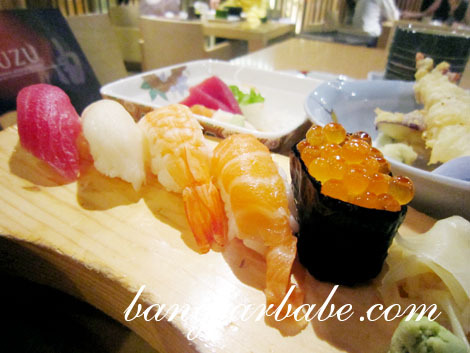 I was quite pleased with the Santen Mori (RM60), which comprised thick cuts of salmon, tuna and salmon belly. 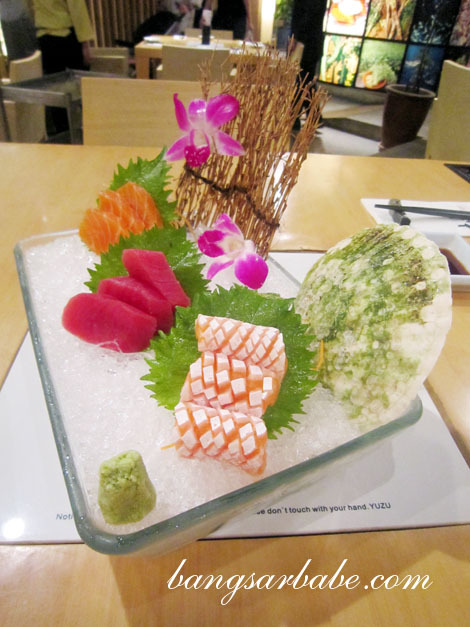 All were delicious, but the fatty salmon belly triumphed among the three. The Yuzu Pizza (RM35) comprised tomato-based sauce, cheese and bonito flakes on a pizza base. It looked good, but tasted too fusion for my liking. My Yuzu Gozen was good value for money. For RM48, the large tray contained assorted sashimi, assorted sushi, tempura, stone grilled beef, chawanmushi, tofu, pickled radish, salad, fruits and a teapot soup. The beef was achingly tender with a delicious flavour from the fat. 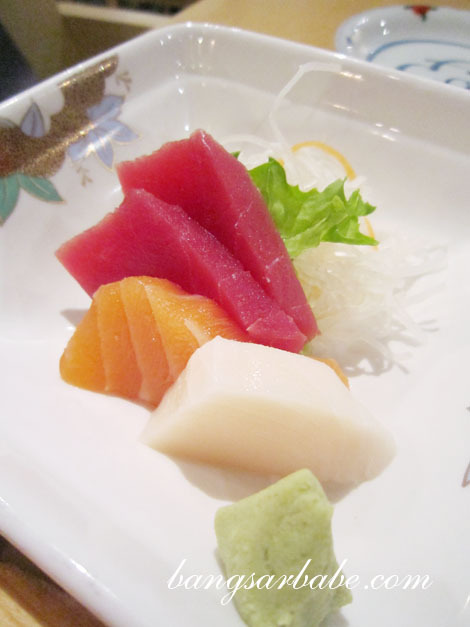 I also enjoyed the sushi and sashimi, as they were freshly prepared and of good quality. Equally good was the Saikoro Steak & Tempura Set (RM48). This comprised diced Japanese beef, tempura, chawanmushi, tofu, pickled radish, miso soup, rice and fruits. 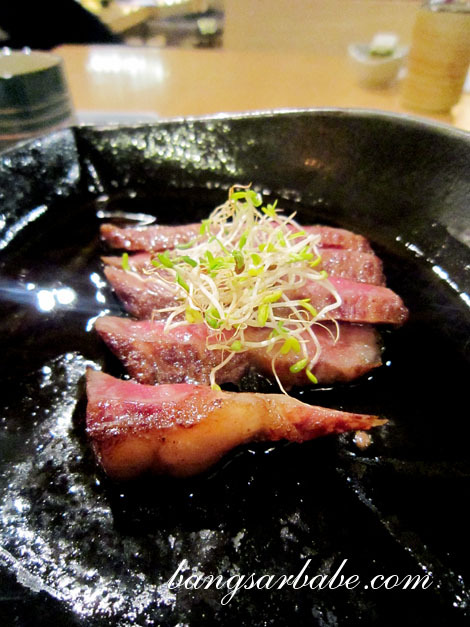 The steak was thickly cut and tender to the bite, but I liked the Yuzu Gozen better. To cap off our meal, I had the Special Yuzu Dessert (RM50 for 2 pax). Lovely presentation and the fact that the staff were efficient and attentive made the whole experience a memorable one. Verdict: Good Japanese food and attentive service. And you ALWAYS have kaki for dinner! 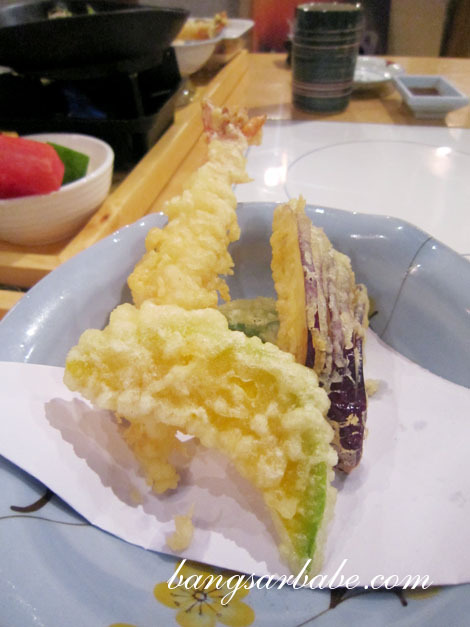 I like tempura and sashimi. As long as they are fresh, then it’s ok! I love to eat japanese food..